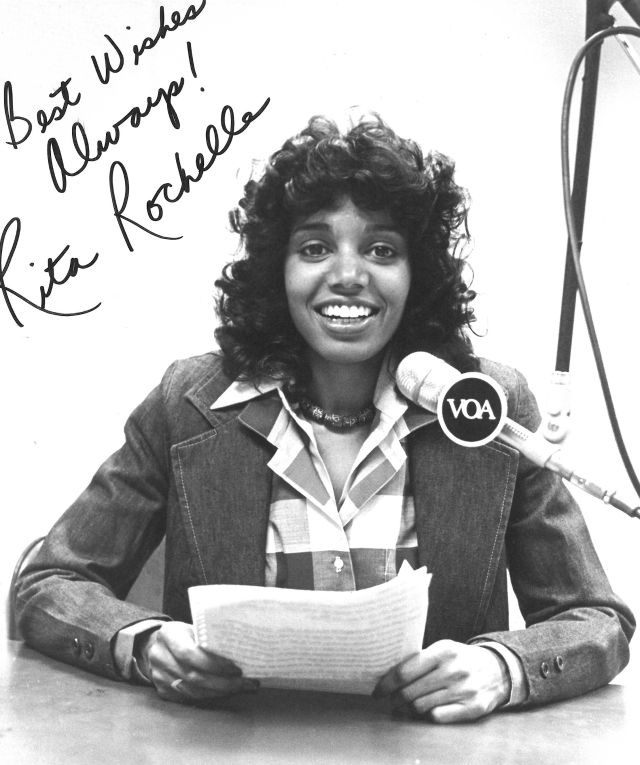 Thirty-minute pre-recorded programs, broadcast by Voice of America on Sunday afternoons (once weekly from 1965–1982, and starting in 1983, with two separate Sunday programs). The series contains selected full radio programs from 1965–1975, and a nearly complete run of radio programs from 1976–1989. Much of the weekly production work for the program involved choosing musical selections or excerpts from the Leo Sarkisian Library, then crafting an appropriate script. 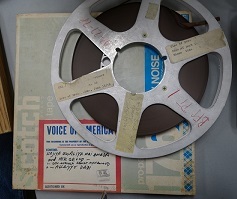 Leo assembled program excerpts on a tape reel of “inserts;” the reel typically mixes original Sarkisian field recordings with complementary tracks from commercially-produced and distributed recordings (45s, LPs, cassettes, and other media). At transmission time, a radio announcer (supported by a sound technician) “performed the box” containing the script and associated musical inserts. 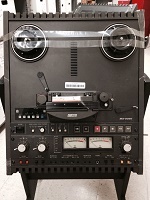 Some scripts are in the tape box with the insert reels. 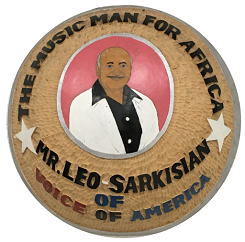 Leo Sarkisian traveled throughout Africa with professional sound equipment on which he was trained by Central Recording Studios in Hollywood, California. In 1953, he started in Central Asia (Pakistan, Afghanistan, Bangladesh) as an employee of Tempo Records in Hollywood, which had hired Leo to obtain music for films set in exotic locales (Sarkisian 2012, 15). In 1958, Leo was sent to newly-independent Ghana. There, he worked with Radio Ghana music director Atta Mensah, recording music throughout the country and across ethnic groups. In 1962, invited by Edward R. Murrow, Leo became Music Director for the VOA Program Center in Monrovia, Liberia. Leo continued his work recording music and training sound engineers, now under the banner of the US diplomacy (Sarkisian 2012, 63). 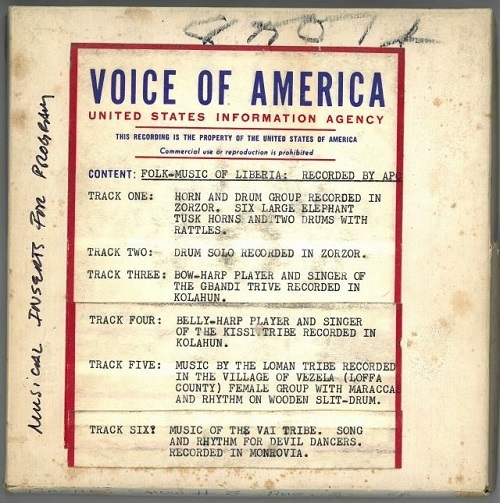 Working fifty years as a VOA employee, Leo recorded music in over thirty-eight African nations from Senegal to Ethiopia. 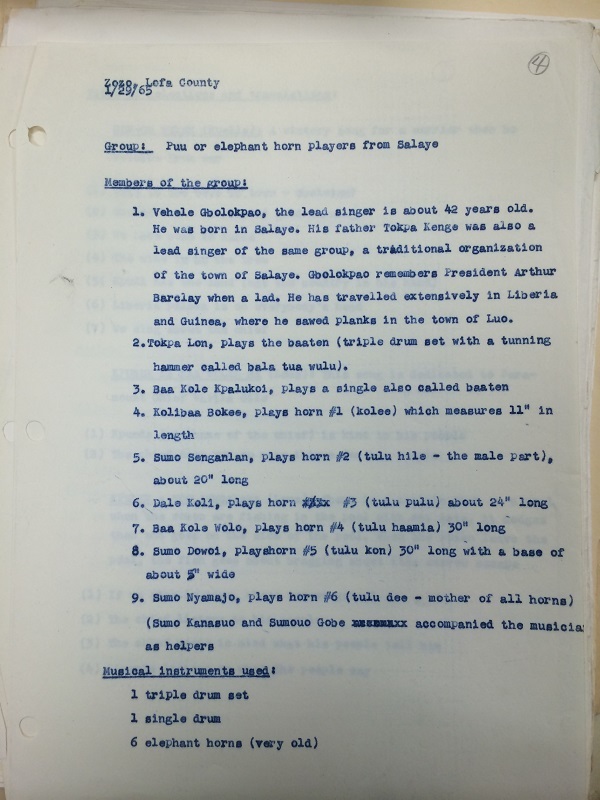 Included within the corpus are the only known recording of Louis Armstrong performing at the 1967 Tunis Festival, the first-known recording of famed Nigerian Fela Anikulapo-Kuti, and the first-known recording of Guinea’s popular Bembeya Jazz Band. Also represented are traditional music, chorale music, big band music, Afro-funk, Latin covers, and Western-style opera and symphonies by African composers.